Francois Beauchemin is hardly bothered when he talks about the title he now holds thanks to a pair of Finnish stars who both decided to call it a career. At the age of 34, Beauchemin, now in his 10th NHL season, takes over the reins of the oldest player in the Anaheim Ducks lineup after the retirement of both Teemu Selanne and Saku Koivu. The veteran blueliner isn’t losing any sleep over his newfound status. But, with age, there is wisdom, right? Beauchemin used practice as a motivational tool for games. 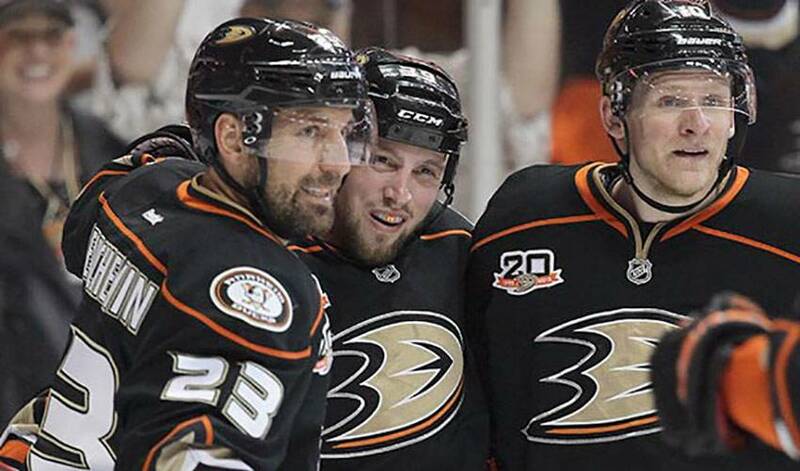 Beauchemin is hoping the Ducks can emulate their highly successful 2013-14 regular season, a campaign that featured 54 wins, a franchise-best 116 points, and second spot overall to Boston. Beauchemin expects the same of himself. One notion he won’t entertain, however, is putting a Finnish spin on his name to make the transition of losing Koivu and Selanne go a little smoother. Just the type of wise move one would expect from a savvy veteran.